There are 2 display cases in the library. 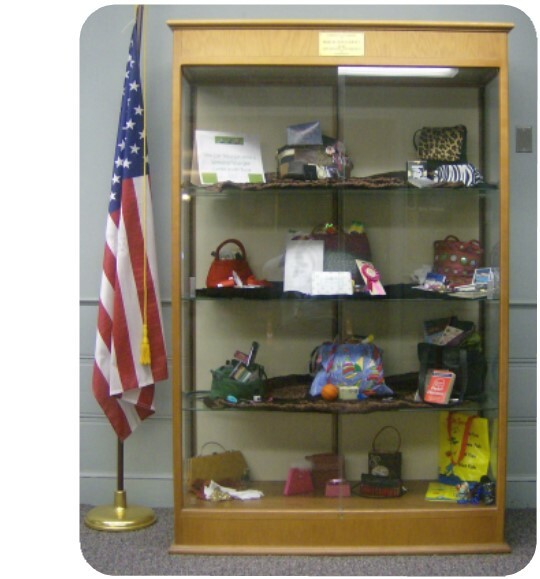 These display cases are available for community groups or individuals for the display of visual arts, crafts, collections and other educational, cultural and information exhibits. Click here for more information about using the library's display cases. The display case in the Children’s Department is located at the entrance to the department. Contact the Children’s Librarian. The Erley Display Case (right) is located on the second floor of the Library. Contact the Adult Services Librarian.